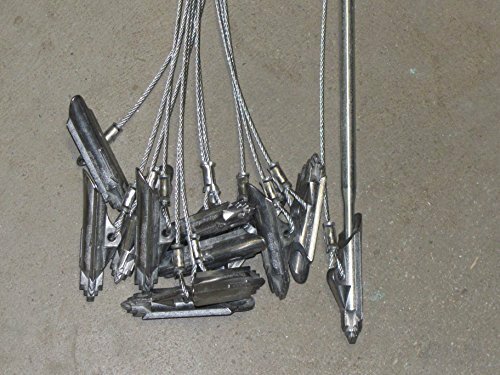 This anchor set is perfect for mounting a wide variety of objects in drywall and other surfaces where simple fasteners are impractical. 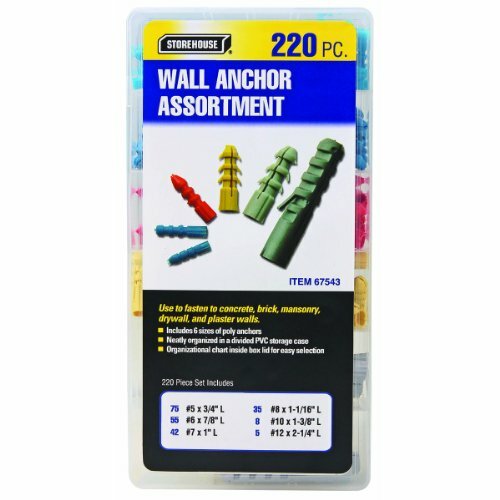 This set includes six sizes of sturdy polyethylene wall anchors. Simply drill a hole the same size as your wall anchor, push the anchor in and insert a screw into the anchor! Versatile All-in-One Solid Wall and Drywall Anchor. Designed to enable users to tackle a wide variety of projects with simplicity and ease. Contains 52 Anchors. Material: Made of high quality plastic, environmental protection, injection molding, flexible, good toughness, impact resistance, easy to break, high expansion coefficient. 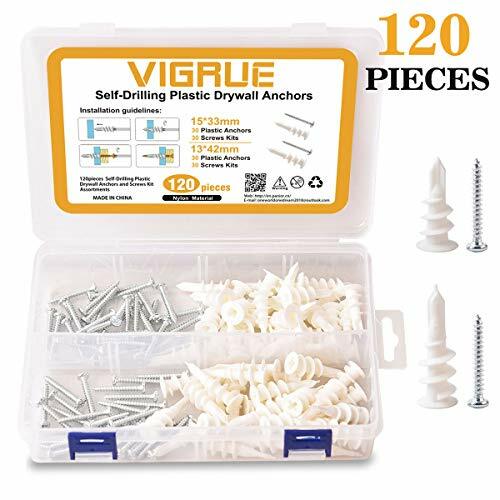 Multi-Function: Strong anchoring force, large anchorage range, can be used to anchor cabinets, switches, line slots, picture frames, mirror frames, coat and hat frames, skirting boards, electric wall frame, curtain guide rail, home decoration etc. Wide Application: Can be commonly applied to solid brick, concrete, aerated concrete, high-hole brick, sand brick and other wall materials. Made of carbon steel material in bronze tone. 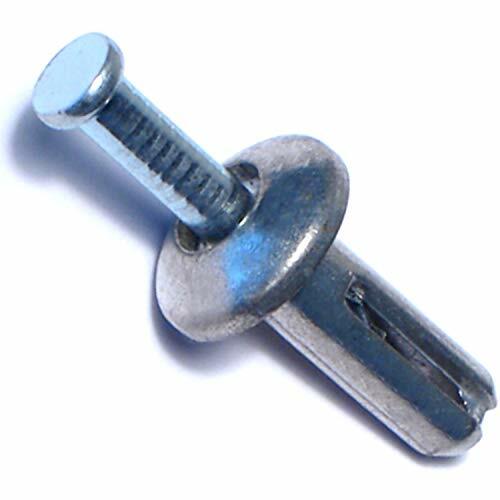 Expansion bolt provides a secure hold in concrete, block, brick, and stone. 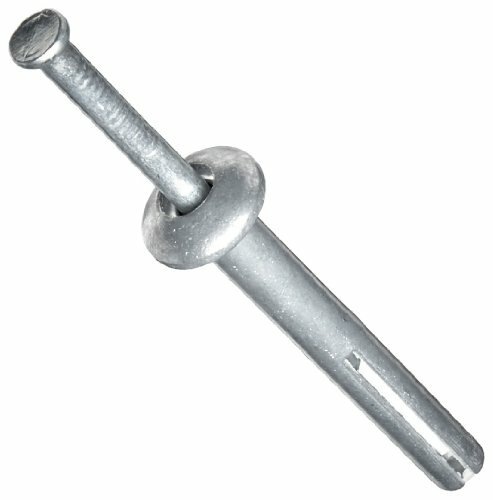 Ideal for attaching brackets, drywall track, gutters, downspouts and electrical boxes. Drives in with a hammer to expand and grip the mounting material. The maximum fixture thickness or the maximum thickness of the material being fastened for a anchor is 2-7/8". This will ensure that the minimum embedment of 1-1/8" will be met. 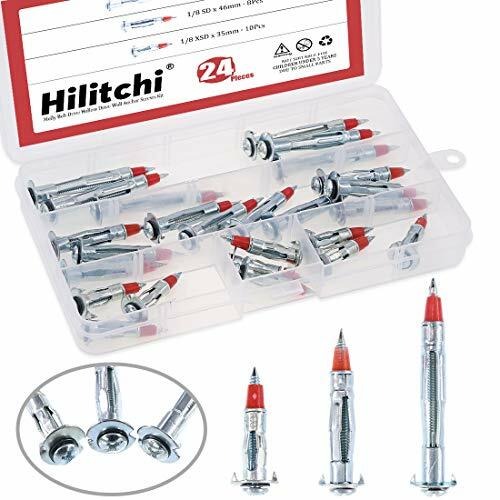 Hilitchi Long Hollow Wall Drive Anchors Assortment Kit Zinc Plated Steel Heavy Duty Philips Round Headed Molly Bolt Drive for Drywall Notes: a drill bit is not included in the package. FEATURES: Great holding power Strong hardness No rust Wide application Installation quick and easy Improve work efficiency Application method: A.drill a hole (depth and diameter in sync with the anchor) B.poke the anchor through the hole C.unscrew the screw to 4-5mm from the top D.use a wall anchor setting tool to press the screw down and job's finished Size & Package : 35mm Hollow wall drive anchors 10pcs 46mm Hollow wall drive anchors 8pcs 59mm Hollow wall drive anchors 6pcs A storage box 1pcs Item Package Quantity:24pcs We offer a wide selection of various types/sizes fasteners. We suit all your anchoring needs. 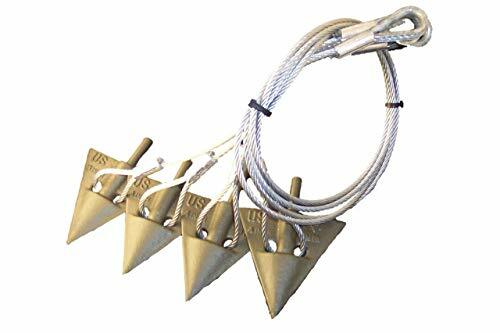 STRONG AND WELL MADE Quality zinc plated steel anchors, rustproof, anti-corrosion eco-friendly material. zinc steel can be used in humid environment and could last for a a long time. 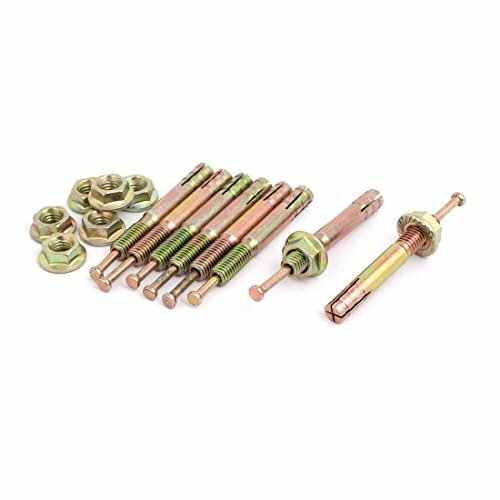 A brand new and excellent toggle bolt kit we offer. If not, please come to us soon, we promise to solve the problem for you. 100% satisfaction. We always believe that customer first. HOUSEHOLD SPARE TOOLS 3 different sizes available(1/4, 3/16, 1/8), each size kept in one separate compartment. This pretty much takes care of any light duty anchoring that would be needed in a regular household. Use in drywall, plaster wall and tile, thin or hollow walls and other board materials. Good quality little kit. Order now and store it for future use because it will make your home repair job much easier. CREATIVE DESIGN Round and sharp red tapered made tip for easy installation. They go in easily and securely without breaking. They are sturdy and will not break while installation. 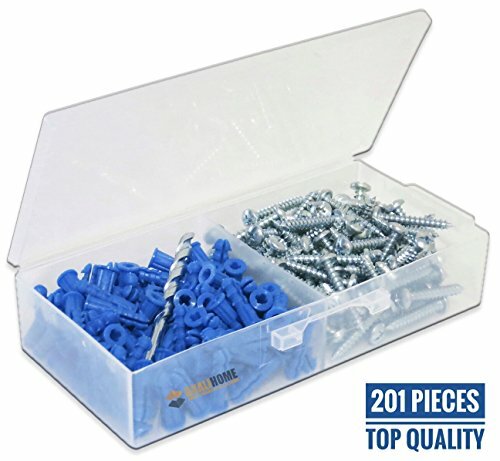 These anchors are designed to keep the screws from stripping out and damaging the wall. Handy combo pack, convenient to have 3 different sizes(each size kept in one compartment), nice kit to have for you. 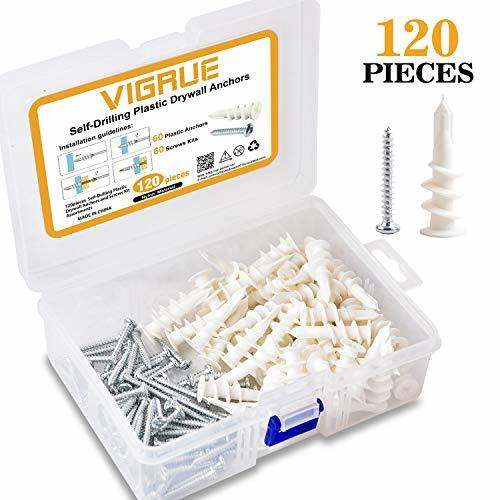 HOW TO APPLY THIS KIT First, you need to drill a hole (depth and diameter in sync with the anchor), poke the anchor through the hole, unscrew the screw to 4-5mm from the top and then use a wall anchor setting tool to press the screw down and the split would expand at this time. QUALITY AFTER-SALE SERVICE If you do not satisfy with our products or if you have any questions, please come to us, we would reply you within 12hours. We 100% guarantee to solve all the problems to your satisfaction. FREE REPLACEMENT within 90days. The Wej-It Nail-It DN1412 drive anchor is made of zamac alloy and cold rolled steel, provides a secure hold in concrete, block, brick, and stone, and meets Federal Specification GSA FFS-325 Group V, Type 2, Class 2. The anchor body inserts into a drilled hole and a hammer (sold separately) drives the pin down into the body, expanding the body and gripping the mounting material. The anchor's mushroom head lies above the material surface when installed, and the nail enters the head when installed to create a tamper-resistant seal. 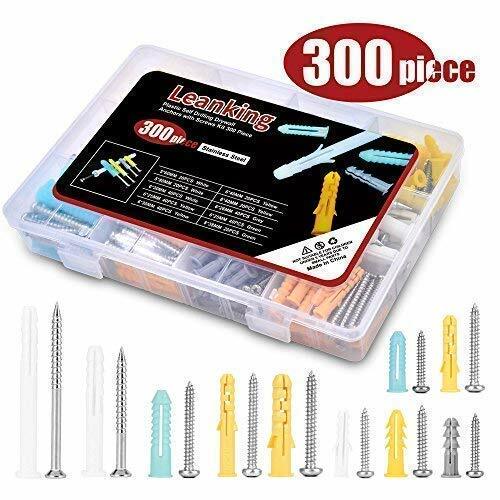 Specifications Anchor Part Number Drill Diameter Maximum Thickness of Fixture Minimum Embedment Depth Ultimate Tensile Strength of Static Loads in 3,000-psi Unreinforced Stone Aggregate Concrete DN3678 3/16" 1/4" 5/8" 400 lb. DN1403 1/4" 1/8" 5/8" 500 lb. DN1410 1/4" 1/4" 3/4" 800 lb. DN1411 1/4" 1/2" 3/4" 800 lb. DN1412 1/4" 3/4" 3/4" 800 lb. DN1420 1/4" 1-1/4" 3/4" 800 lb. DN1422 1/4" 1-3/4" 3/4" 800 lb. DN1430 1/4" 2-1/4" 3/4" 800 lb. Warning: Use one-fourth or less of listed maximum values for safe working loads (as required by local regulations). For more information, see the specifications sheet. 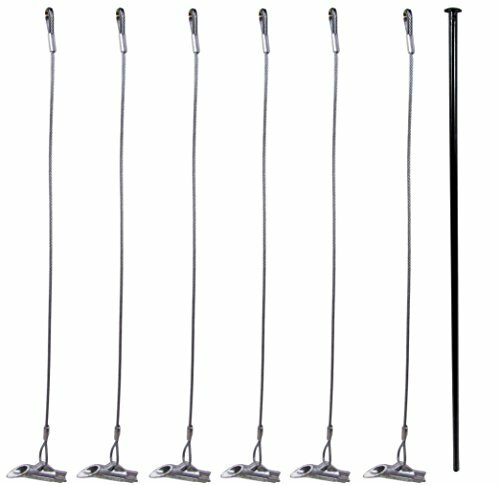 This package includes 6 Duckbill 40-DB1 Earth Anchors and 1 Drive Steel Tool. Duckbill Earth Anchors are similar to toggle bolts in soil, they are driven into the ground using the drive steel tool and will firmly secure items to the ground without the need to dig holes or pour concrete. Duckbill Earth Anchors work as great theft deterrents, securing items that are prone to being stolen, moved, or blown away. They can be used to secure items such as tables, benches, barbeques, trash cans, bikes, signs, antennas, sheds, fences, and more. Also are great at providing tree support to struggling trees. Use a hammer and Drive Steel Tool to drive the Earth Anchor into the ground, remove the steel tool and pull up on the cable to set the toggle. Recommended Working Load in Normal Soils: 300 lbs. Wire Rope Capacity: 480 lbs. 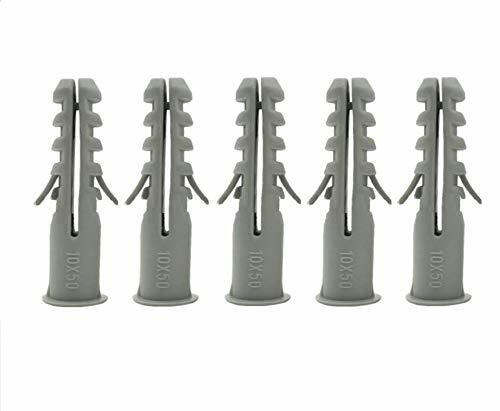 This package includes 6 Duckbill 88-DB1 Earth Anchors and 1 Drive Steel Tool. Duckbill Earth Anchors are similar to toggle bolts in soil, they are driven into the ground using the drive steel tool and will firmly secure items to the ground without the need to dig holes or pour concrete. 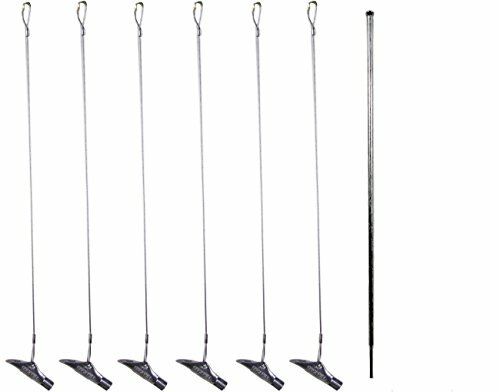 Duckbill Earth Anchors work as great theft deterrents, securing items that are prone to being stolen, moved, or blown away. They can be used to secure items such as tables, benches, barbeques, trash cans, bikes, signs, antennas, sheds, fences, and more. Also are great at providing tree support to struggling trees. Use a hammer and the Drive Steel Tool to drive the Earth Anchor into the ground, remove the steel tool and pull up on the cable to set the toggle. Recommended Working Load in Normal Soils: 3000 lbs. Wire Rope Capacity: 6100 lbs. The Wej-It Nail-It DN1430 drive anchor is made of zamac alloy and cold rolled steel, provides a secure hold in concrete, block, brick, and stone, and meets Federal Specification GSA FFS-325 Group V, Type 2, Class 2. The anchor body inserts into a drilled hole and a hammer (sold separately) drives the pin down into the body, expanding the body and gripping the mounting material. The anchor's mushroom head lies above the material surface when installed, and the nail enters the head when installed to create a tamper-resistant seal.